Bahlsen is a family business specialising in beautifully crafted sweet biscuits. 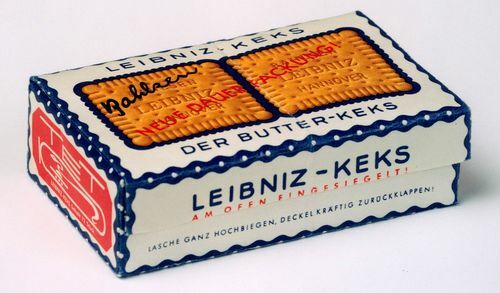 For generations, the sweet pleasure of biscuits and unmistakeable taste has been associated with the Bahlsen name. The consistent high quality and trust in the product has made Bahlsen what it is today: a successful and modern family company. The company owes this strong position to a history going back more than 130 years. The company was founded on 1st July by Hermann Bahlsen (1859-1919) Hermann took the “Fabrikgeschäft engl. Cakes und Biscuits” company on Friesenstrasse in Hannover from H. Schmuckler and renamed it “Hannoversche Cakesfabrik H. Bahlsen”. 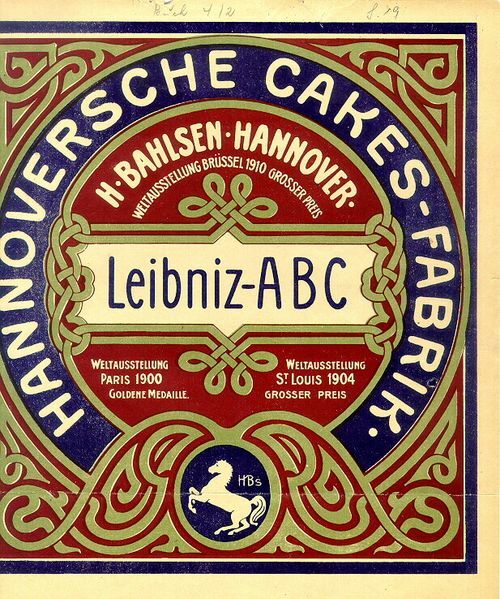 Hermann Bahlsen launched LEIBNIZ Cakes. 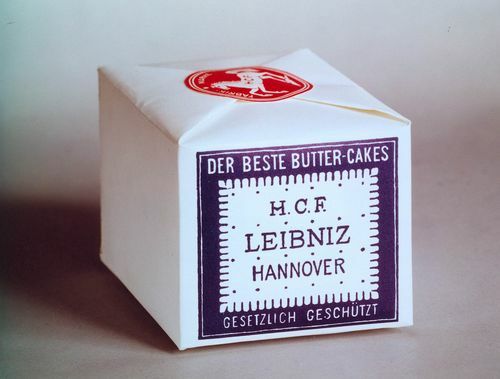 As it was common practice to name food products after public figures, Hermann Bahlsen named his cakes after Hanover’s well known inhabitant: Gottfried Wilhelm Leibniz (1646-1716). The prancing Lower Saxony-Horse is registered as the company trade mark. 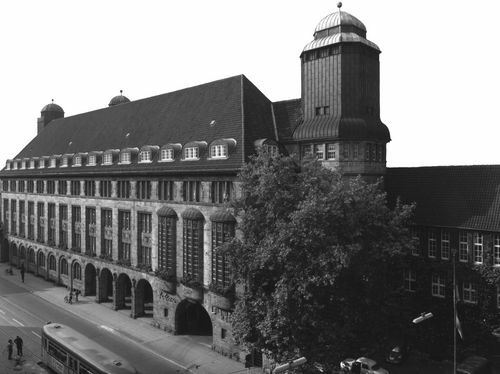 A distribution warehouse opened following the new office in Berlin in 1898. By 1914 there were innovative sample stores in every major German city. Germany’s second neon sign advertisement proclaimed LEIBNIZ Cakes above Potsdamer Platz in Berlin. Bahlsen was awarded a gold medal again at the Exposition Universelle in Paris for its “specialities”. New dust and moisture-resistant TET packaging is introduced. The TET sign, featuring an oval with a snake and three dots deriving from an ancient Egypt hieroglyphic meaning ‘everlasting’, was originally pronounced as “dschet”, but simplified to “TET”. The TET-packaging was the first packaging made of paper-board with the ability to keep the biscuit enduringly fresh. Besides the first punch card, Bahlsen introduced Europe's first assembly line, eight years before Henry Ford adopted it in the automotive industry. The products "NOCH EINE" ice cream waffers and "ABC" were launched, helping the company on its upward surge. 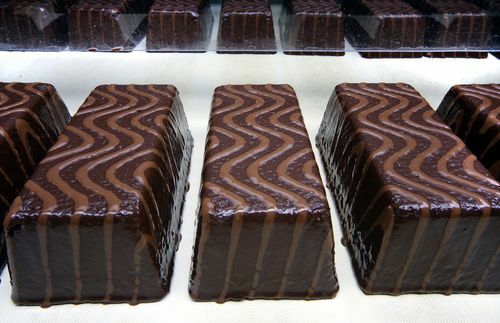 Hermann Bahlsen changed the English word "cakes" into "Keks". Some years later, the new term was officially approved and incorporated in the German dictionary. The company moved into the new factory building in Lister Straße and the new headquarters in Podbielskistraße. Pictures, sculptures, and ornaments created a pleasant working environment. Several social institutions arose. The company was renamed “H. 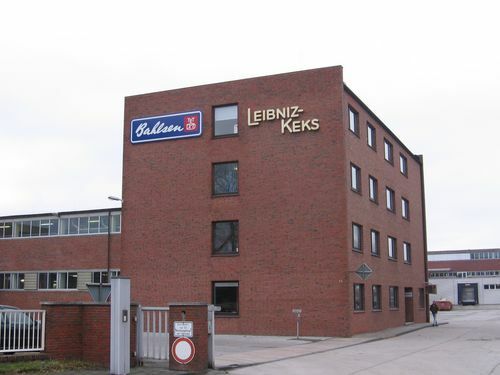 BAHLSENs Keksfabrik”. Twelve million “TET packages” were sold. 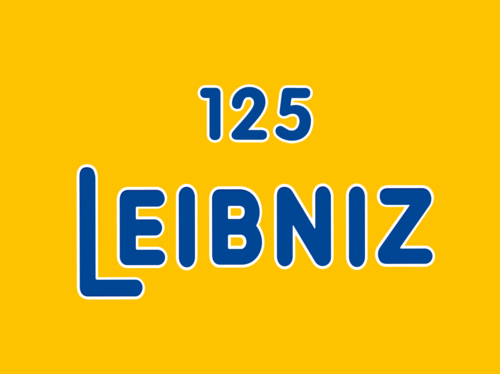 The in-house employee newspaper “LEIBNIZ BUTTERBLÄTTER” was published for the first time. A model of a large factory including homes in Hannover, the so-called “TET City”, is presented. The further course of the war prohibited the implementation of the plans made by Bernhard Hoetger. By the end of the war the lack of raw materials almost completely disrupted production. Only one of the 25 ovens was operational. 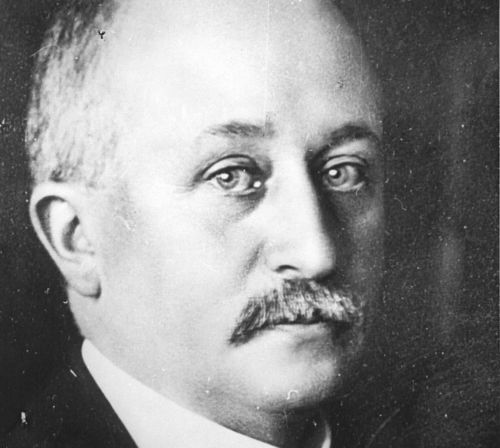 Hermann Bahlsen died on 6 November 1919. He was succeeded by three of his four sons; 1919 Hans Bahlsen (1901–1959), 1922 Werner Bahlsen (1904–1985) and 1930 Klaus Bahlsen (1908–1991). Together with a young management team, the second Bahlsen generation started restructuring and modernising the company after the economic decline that had resulted from inflation and the Great Depression. The “Express-Tin” was a bestseller for more than a quarter-century. Four million units of the tin (one pound of biscuits for one Reich Mark) were sold within a year. Bahlsen employed 1,400 people; 450 office staff and 950 industrial workers. The Second World War broke out two months after Bahlsen celebrated its 50th anniversary. Food products were rationed, and raw materials were short. Biscuits were only sold against bread stamps. Many employees were conscripted into the German army. The technical department had to discontinue its research and development work. The assortment of products was reduced to eleven products while emergency rations for the army and crisp bread was added. By the end of the war nearly 60% of the factory and almost all distribution warehouses were destroyed. On April 24th, the allies granted a permit to restart work. In order to ensure high quality standards, Bahlsen established its own physical and chemical laboratories. 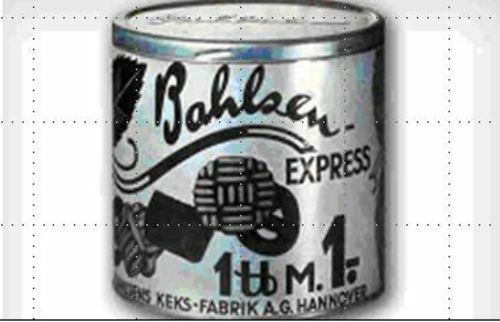 Bahlsen was one of the first German companies to be issued an export licence. The first foreign shipment went to Switzerland. Under the direction of Werner Bahlsen the company started exporting products to the USA. Hermann Bahlsen (1927–2014), the son of Hans Bahlsen, joined the company, opening up the era of the third generation. At the same time Bahlsen launched the first air-tight and waterproof package, the so-called “stiff thermoplastic package”, a welded aluminium foil, setting new standards regarding freshness and extended shelf-life. Bahlsen is now exporting to 74 countries. The Barsinghausen plant, Europe’s most modern production site, is inaugurated. The first Bahlsen sales companies in France and Italy were founded. Austria and other countries followed. Production begins at the Varel plant in Friesland. Bahlsen introduces Peanut Flips onto the German market and expands its snack assortment in a cooperation with the Flessner Company in NeuIsenburg. Bahlsen enters the cake business by taking over the Brokat Bakery in Oldenburg. By now Bahlsen employs 7,000 staff members in total. 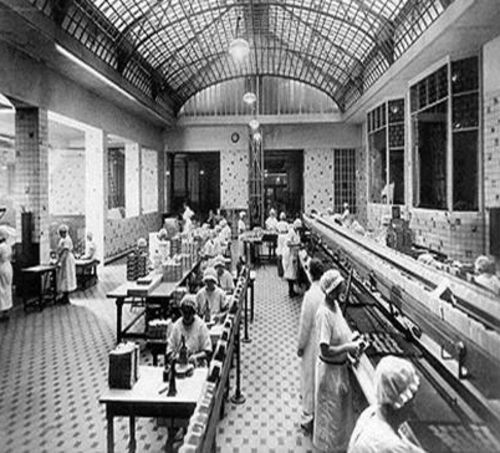 The Berlin production plant goes into operation. Bahlsen of North America is founded as well as the affiliated companies in Luxembourg and the Netherlands. With four employees, the distribution company in Belgium is founded. Initially, the company focusses on Brussels as the main area of distribution. Later on the distribution expands with country wide delivery. Bahlsen Spain and Bahlsen UK are founded. The new administrative centre in Hannover is opened at the site where TET City was originally supposed to be built. Werner M. Bahlsen, Werner Bahlsen’s youngest son, joins the company. His brother Lorenz Bahlsen already joined in 1973. Production in the United States begins with the acquisition of Austin Quality Foods in North Carolina. Bahlsen employs approximately 11,200 members of staff. 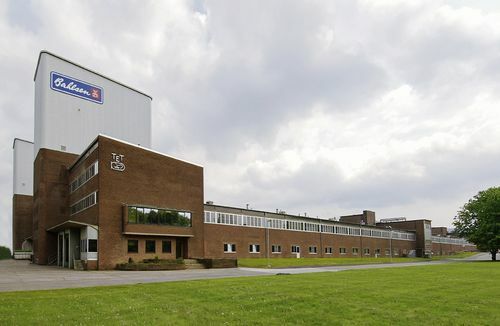 Due to shortage of space, production in the headquarters in Hannover, the oldest factory of the company, is outsourced to plant in Barsinghausen. Bahlsen celebrates its 100th Birthday. The new distribution warehouse in Langenhagen, near Hanover, comes into service. More than 100 employees ensure smooth running logistics. Furthermore, Bahlsen acquires the Polish company “Unimarex”. At a later date, the company is renamed to “Poznan”. 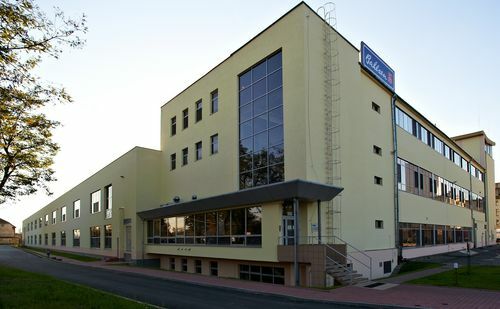 Bahlsen acquired the Skawina food company in Poland with 1,100 employees. Acquisition of St. Michel (France) - a biscuit producing family enterprise with more than 90 years standing. St. Michel continues to be the national brand for Breton biscuits and cakes. The “H. Bahlsens Keksfabrik KG” changes its name to “Bahlsen KG”. Acquisition of shares from the Brandt Company as well as from the Gottena subsidiary. 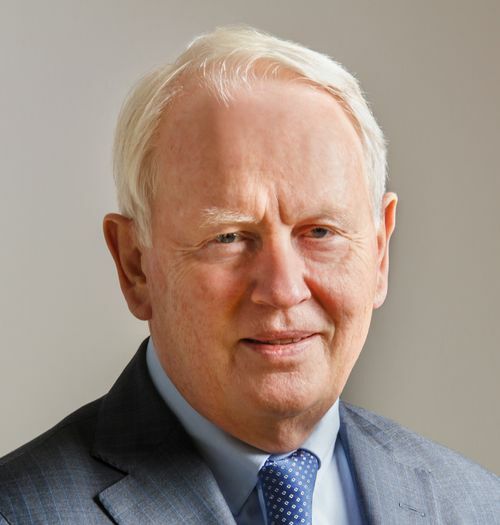 Hermann Bahlsen left the company and took over all shares of the former subsidiary “Austin Quality Foods“, Cary in North Carolina. Bahlsen launches PiCK UP! in Germany, Austria and France, successfully entering the snack bar market. The company was split off into the “sweet” (Bahlsen) and “snack” (Lorenz) segments and the Von Nordeck Group. Bahlsen joined the “Foundation Initiative for the Compensation of Former Enforced Labourers during the Second World War”. The original headquarters in Podbielskistraße 11 once again becomes the new headquarters. Extensive reconstruction turned the traditional building that was under a preservation order, into a modern office building. Bahlsen intro­duces its new brand strategy: Two umbrella brands – BAHLSEN and LEIBNIZ – now represent the company throughout the world. 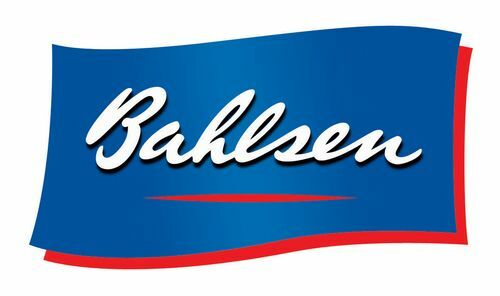 Bahlsen relocates cake production from its factory in Oldenburg to the nearby production plant in Varel. The newly integrated production facility for cakes enables innovation in technology. After much modernisation work, the Barsinghausen plant was awarded the “Factory of the Year” prize. The “Factory of the Year” is an annual benchmarking event known as the toughest benchmarking test for manufacturing companies throughout Europe. Bahlsen increases its commitment abroad, opening up new sales markets in the Middle and Far East. Offices are opened in Dubai and a year later in Shanghai. Unknown thieves steal the Golden Biscuit from the Pretzel Men sculpture on the façade of the company's headquarters in Hannover, attracting the attention of newspapers and television stations around the world. 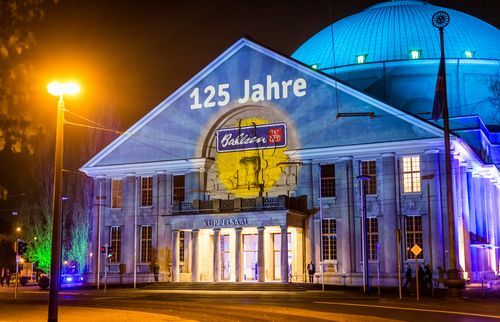 On 1 July 2014 Bahlsen becomes 125 years old. In October 2014, the anniversary is celebrated officially. For the first time in the history of the company, all 2,500 employees from around the world are invited to Hannover. 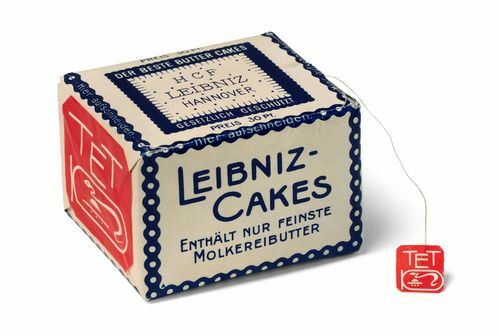 LEIBNIZ butter biscuits cele­brates its 125th anniver­sary – one of the world’s oldest branded products. 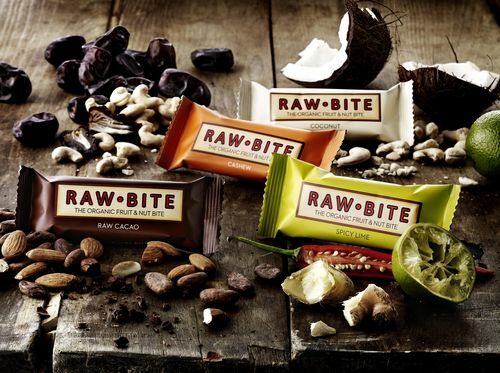 The international Bahlsen Group has acquired a majority of Rawbite ApS, the Danish organic food brand and producer of organic fruit and nut bars. HERMANN'S is an international network for food innovation that brings together consumers, pioneers and industry to tackle the major challenges of the food system. As a subsidiary of the Bahlsen Group, the founders Verena Bahlsen, Laura Jaspers and Stefan Telegdy want to discover new potentials all over the world that will help to establish a healthier and more sustainable food system. HERMANN'S offers everyone the opportunity to use the online platform hermanns.com and to develop and present new ideas, wishes or products in the restaurant and event space HERMANN'S Berlin to find suitable partners for new projects or just to eat comfortably. Werner M. Bahlsen (69) withdraws from the Management Board to join the Governence Board of the Bahlsen Group. The current members of the Management Board, Daniela Mündler, Michael Hähnel, Scott Brankin, as well as (starting in the 3rd quarter of the year) Jörg Hönemann, will jointly head future company operations. For the first time in recent Bahlsen history, no member of the Bahlsen family will be on the Management Board. The Governence Board is responsible for the long-term strategic alignment of the Bahlsen Group. New corporate design "The Bahlsen Family"
In May 2018, the Bahlsen Group introduced its new corporate design as a visible expression of its corporate identity. 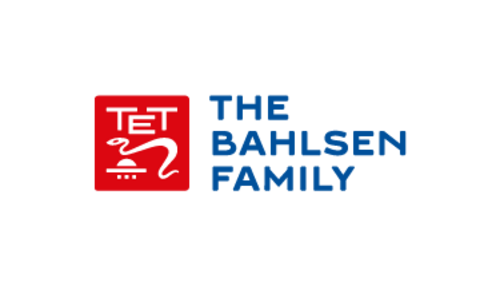 At the heart of the new design is the "The Bahlsen Family" logo: The new logo features the traditional TET character that has been retrieved and a specially developed font. Bahlsen cooperates with the food start-up incubator KITCHENTOWN from Silicon Valley. KITCHENTOWN provides start-ups with production areas with various technical facilities for the development of products. In cooperation with Bahlsen, the business model is now to be established in Berlin. I consent to receive marketing communications.